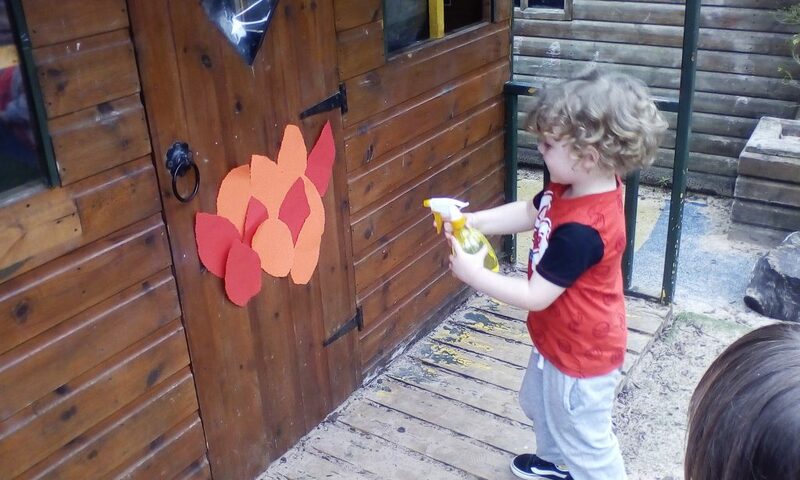 Home / Whole Nursery / People Who Help Us! The Big Bumbles have been exploring the theme of ‘People who help us’. The children talked with the friends and special carers about how we can help each other and also about the emergency services, following our Big Toddle which was to raise money for the Air Ambulance. 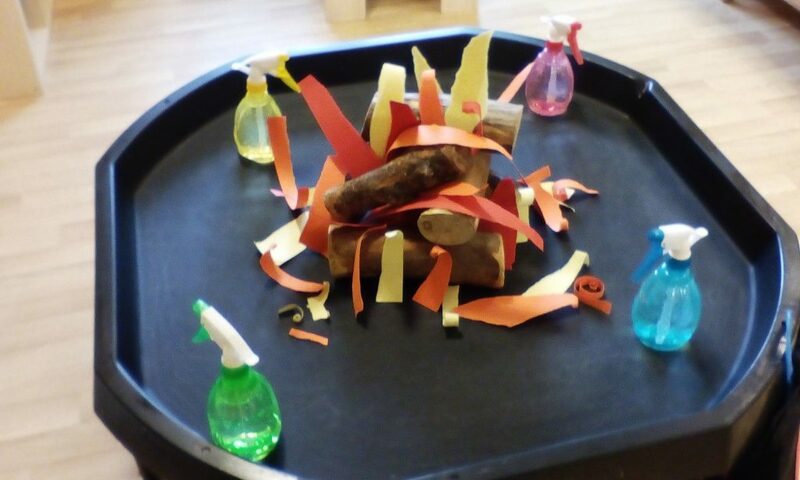 Fire fighters were top of the children’s list and as a result we created an imaginary fire using coloured paper, the children then took turns to put the fire out using spray bottles.